Water efficiency revolves around reducing the amount of water that we waste by measuring the amount of water that is required for certain tasks. Although water efficiency is different from water conservation, as it does not restrict the use of water, it does influence the way that we use and consume water. 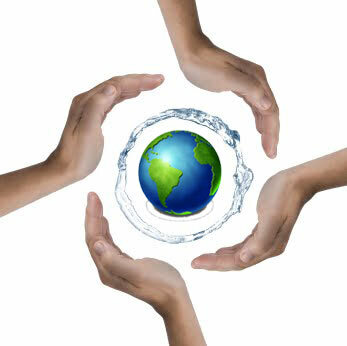 Consumers have begun making small behavioural changes to reduce their water wastage and choosing efficient products. Everyone is becoming more and more aware about the environment and their impact on it. However, being efficient with water not only helps with conversation, it also lowers that dreaded water bill. Australia implemented a water efficiency labelling scheme to help reduce water wastage by rating different fixtures and appliances according to their level of efficiency. WELS ratings can be found on taps, showerheads and toilets that were produced from 2005 and onwards. And, as per usual, the more stars the better. Trust M.J.Walker to conduct a water efficiency report on your property and show you exactly how efficient (or inefficient) you are. Once this is done, we can show you some options that can reduce your water consumption levels, and bills, and can implement any changes that are required. Most plumbing fixtures can be retrofitted to be water efficient by installing WELS rated products. If you have a rental property, you will need to meet certain requirements to be considered water efficient. If, after an inspection, we find that your property does not meet those requirements, we can make any necessary adjustments and then issue you with a Master Plumbers of QLD tenancy water efficiency certificate.